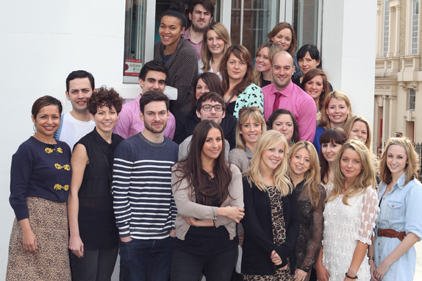 Shine Communications is the third best small employer in the UK, according to the 2011 Best Companies to Work For list released yesterday. Compiled by Best Companies, the name behind The Sunday Times 100 Best Companies to Work For list, the latest survey quizzed 37,500 employees across 567 small businesses. Based on staff feedback and looking to acknowledge excellence in the workplace, companies are surveyed on a number of workplace factors, including wellbeing, leadership and personal growth. Shine, which came sixth last year, was among only three PR firms to make the top 50, alongside Bite Communications and Brands2Life, which reached 45th and 48th position respectively. Blue Rubicon, GolinHarris, The Red Consultancy, Lexis and Consolidated PR were the other PR firms that made the top 100. Of the eight PR firms that made the 2011 list, Shine was the only agency to improve on last year's results. Shine was the placed first in the country on a number of individual measures, including training (88.4% of staff saying that the company’s training was of great benefit) and encouraging staff to fulfil their potential (91.1%). Lexis PR, which finished 71 overall, became the only firm to make the top 100 every year since it started. Bite Communications also picked up a special award for best training and development.